Please complete the form below and your enquiry will be sent directly to Cyril Rose B&B & Self Catering via email. Your enquiry has been sent to Cyril Rose B&B & Self Catering. Cyril Rose walks the extra miles. 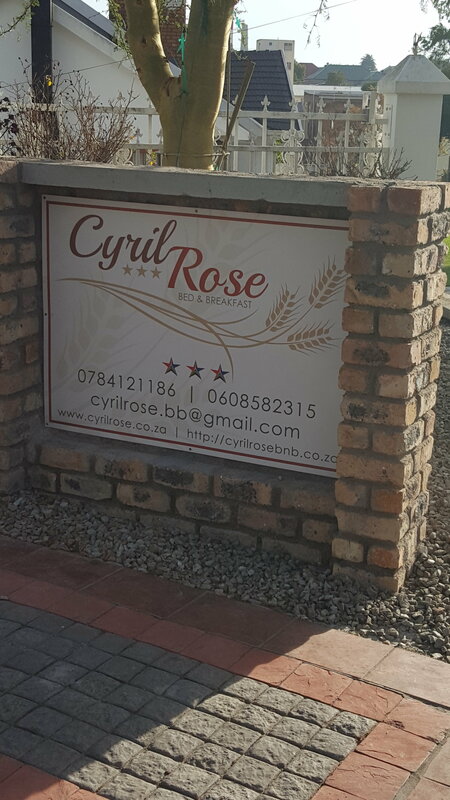 Cyril Rose Guesthouse is situated on a cul-de-sac in a leafy suburb and is the perfect location for overnight stays, a midweek break or a romantic weekend away.1,5km from the Woud(Weddings) and 500 meters from Caledon Casino and Spa,Pick 'n Pay Mall,Wimpy,Municipality ens.Groups are welcome.